Posted in News on June 23, 2014 by Susan Cobb. Posted in Research News on May 15, 2014 by Susan Cobb. 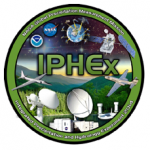 Through June, NSSL is partnering with the Integrated Precipitation and Hydrology EXperiment (IPHEX) to understand warm season precipitation caused by complex terrain in the area, and the relationship between precipitation patterns and hydrologic processes. 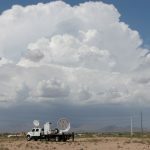 Posted in Collaboration, Radar, Research News on July 9, 2012 by Susan Cobb. 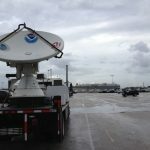 NSSL has a ten-year cooperative research venture with the Salt River Project (SRP), an Arizona power and water utility, to develop weather decision support tools for the company’s power dispatch, transmission operations, and water diversion. 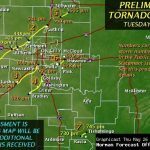 Posted in Radar, Research News on July 28, 2011 by Susan Cobb. 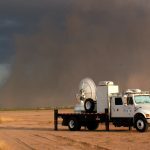 NSSL’s dual-polarized mobile Doppler radar was used to study the skies during dust storm events in Arizona. Posted in Forecast Research News, Research News on February 8, 2011 by Susan Cobb. 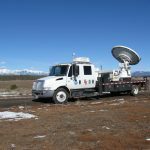 NSSL deployed the NOAA X-Pol mobile radar in southwestern Colorado over the weekend as part of the Southwest Colorado Radar project to collect data on snowfall in the area. The project continues through the end of February, 2011. Posted in Collaboration, Radar on March 1, 2010 by Susan Cobb. 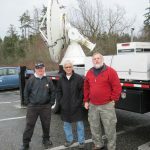 Researchers from NSSL’s Radar Research and Development Division are perfecting their radar relay handoff as they rotate through Birch Bay, Washington to operate the NOAA-Xband dual-POLarized (NO-XP) mobile radar in support of the 2010 Winter Olympic and Paralympic Games. Posted in Perspectives, Photo of the Month on February 26, 2010 by Susan Cobb. 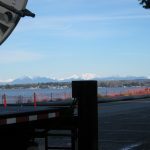 The NO-XP team enjoys the view of the Canadian Rockies from Birch Bay, Washington. 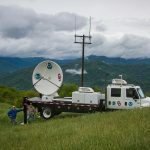 They are using the radar to support weather nowcasting for the Cypress Mountain venue at the 2010 Winter Olympic Games.